Chinese Taiji Five-Element Qigong (a.k.a. Taiji Five-element Qigong) is a qigong system developed by master Binhui He, based on his years of clinical experience with thousands of patients. The purpose of this qigong system is to rapidly reveal practitioner’s self-healing potential and to boost immune function and internal healing capacity for various chronic diseases. It is one of the major qigong systems used in clinical applications of qigong anti-cancer therapy. 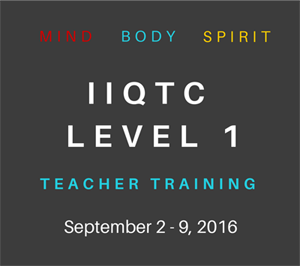 Taiji Five-element Qigong (TFQ) is the core component of the Taiji Five-Element Self Recovery System. 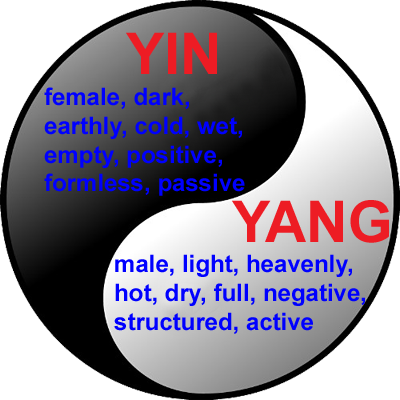 A yin-yang philosophy of disease and health. Broad applications of intention/mind healing. Bigu (energetic fasting) and periodic fasting. Strong qi and group qi adjustment. Adjustment of attitudes, lifestyle, behaviors, and diet by listening to your own body. TFSRS was not designed for a specific disease but it is very effective in aiding in the recovery of many chronic conditions, such as hypertension, diabetes, allergy, asthma, arthritis, cancer, chronic pain and others. It works by increasing your self-healing capabilities, including the immune functions, self-recovery and self-regeneration capability of your body. It is an effective tool for both treatment and prevention. Three factors contribute to its high efficacy: a drug-free approach to avoid the side effects of pharmaceuticals; use of innate self-healing power; the following of TCM philosophies and a healthy lifestyle. TFQ is mostly static form, or meditation, including both standing and sitting meditation (it’s OK to practice TFQ even laying on the bed). At one point in its history, TFQ included some movement forms as a supplement, but master He removed them later since he found movements sometimes distracted the practitioners’ attention, and slowed them down in getting into deep meditation status for communicating with sickness. TFQ applies the five-element theory of traditional Chinese medicine (TCM) to absorb the universal qi energy and to rapidly uncover and strengthen self-healing capabilities. It is simple and easy to learn, yet powerful and effective for helping to relieve symptoms, improve recovery, and gain general health resilience. Above all, TFQ is a healing system that uses one formula for various health conditions by working on improving the immune system, the self-recovery and self-regeneration capabilities. This qigong works directly on the root source of the many health problems instead of just the symptoms of these illnesses. This is the core of TFQ, designed for relaxation, the gathering of energy from the universe, the restoration to order of the internal five elements, cleansing of the whole body, and the achievement of a state of tranquility. It can be practiced any time of the day and repeated as many times as you like. This is classic Daoist meditation with the following key components: Preparation, regulate your body (relaxation), breathing (abdominal breath), and mind state (tranquility); light up the furnace (warm up lower Dantian) with intention and breathing coordination, follow recorded instruction to absorb qi energy of the Moon and the Sun from the poles of skin at inhale, and send it to lower abdomen at exhale to gather qi. Gathering energy from five-elements planets: first, gathering green energy from Jupiter through your three eyes, and send it to your liver; then gathering red energy from Mars through your tongue and send it to your heart; gathering yellow energy from Saturn through your month or your skin, and send it to your spleen and stomach; gathering white energy from Venus through your nose, and send it to your lung, and then gathering purple energy from Mercury through your ears and send it to your kidneys. 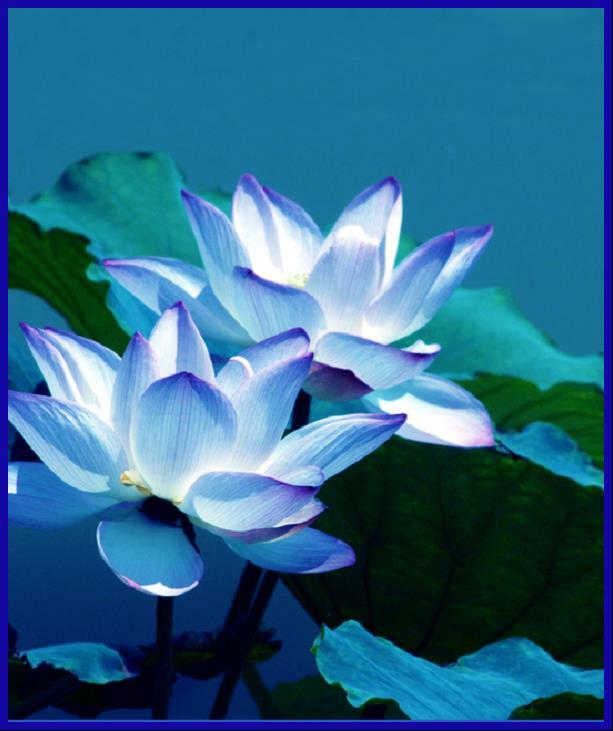 The purification procedure in this mediation applies guided imagery to walk toward a waterfall of sacred water and to cleanse your body outside and inside (Daoism calls it bathing or visualized shower). “The sacred water from the waterfall rushes into your brain through the opening in your head, forming a very strong whirlpool. The rushing water starts to wash through the brain tissue. The water washes away all the sediment clogging your brain tissue. With the sediment gone, the blood circulates through your brain very smoothly. The nerves in your brain are relaxed, and the brain cells are nourished. The sacred water continues to flow inside your head. It forms strong whirlpools to wash away sick cells in your nose, your eyes, your ears, your mouth and your throat, cleansing and washing away all sickness….” You will follow the instruction to cleanse your lung, heart, liver, stomach and spleen, kidney and reproductive organs, as well as the areas you feel uncomfortable and with diseases…. Then you will learn how to integrate your breathing, mind and body into “Oneness” state — focus attention to lower Dantian to get into the oneness state — relax completely without falling asleep (keep awareness up! ), always do the closing at the end of meditation. This is a form of standing meditation that supplements the One-Step Classic form. It helps to activate qi and restores our congenital vitality. It is best to practice it in the morning to energize our day, and/or after sunset to replenish ourselves at day end. A powerful Daoism-formless standing meditation, designed to to unlock the blockages in your body, to magnify qi energy, and to help strengthen your body, your immune system, and increase your ability to recover from illness. It is most effective when done in conjunction with the Classic Meditation (see below). You should carry out this meditation while standing, with your feet shoulder-width apart, and your knees slightly bent. Hold your arms out in front of you with your palms facing your body. Your arms, hands, and fingers should form a circle. Pretend you are wrapping them around a large balloon….. Lightly close your eyes. Breathe naturally. Let your entire body relax. Visualize a large balloon or energy ball spinning between your arms. It begins to spin in a clockwise direction. It is spinning faster and faster. In your mind, watch the balloon spinning between your arms. Let the balloon spin as fast as possible. Imagine the balloon is so light that it can lift your arms up. …. If you body feels like to move, let it come, and follow the qi flowing, since you body is actually responding to the qi energy around and within. Spontaneous movement is great results of such standing meditation. 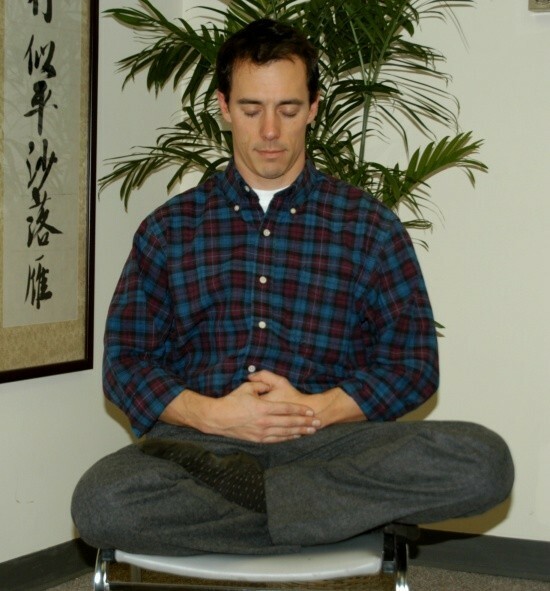 It was said Taiji Quan was originated from this type of standing meditation. 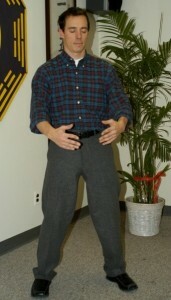 So do not feel strange if you started doing Taiji-like movements during this standing meditation…. which will help you quickly breaking the qi-blockage in your body, and you will feel great relief after the spontaneous movement. However, if your body is still moving at the end of the tape, don’t do the closing procedure, let the body flow until it stops itself. (Then you can do the closing). 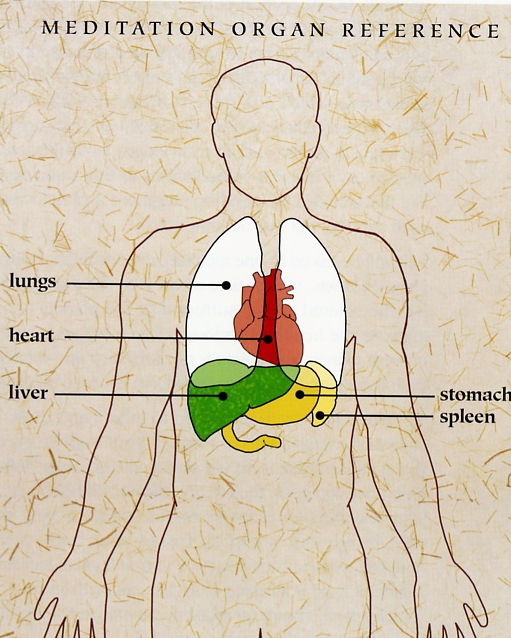 This is an intensive detoxification process for those with serious illnesses. It is best to practice this form with the One-Step Classic Meditation (1) above. This can be practiced at any time of the day, but not more than once a day. This meditation is designed to purify your body and get rid of toxic matters including drug residuals and tumors. It is best suitable for those who are bedridden or who have difficulty getting up. You should practice Purification 1 only after first practicing Classic Meditation (see blow). You can stand, sit or lie down for this meditation. If you choose to stand, let your hands hang loosely at your sides. If you sit, place your hands on your thighs with palms facing down. If you lie down, let your hands rest at your sides and palms face down. This meditation can be carried out anytime, anywhere, provided you are able to disregard everything around you and remain uninterrupted for a period of at least 30 minutes. As the purification mediation is so strong, you should not practice more than once a day even though you feel need more detoxification. The guided imagery and visualization designed for purifying the body may also get ride of some good energy. Therefore, make sure you will do at least one or two times of Classic Meditation on the day you practiced Purification. Mr. Binhui He is a renowned medical qigong master from China who has created the Taiji Five-Element Self-Recovery System. Master He was the founding president of the World Institute for Self Healing, Inc.(WISH) He was the director at the Chinese Society of Qigong Science, heading its Anti-Cancer Research Project. Master He served as the vice chairman of the Chinese Society of Clinical Medicine, vice president of the Chinese Association of Modern Medical Practitioners. He is regularly invited as a guest lecturer and researcher to several colleges and research centers in China and in Hong Kong. 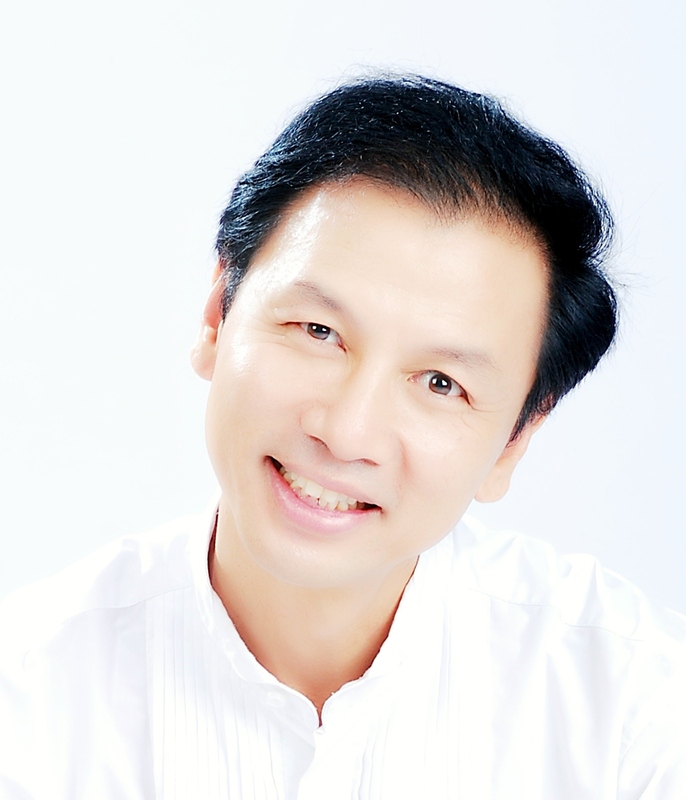 He is highly respected in the field of qigong and traditional Chinese medicine. Master He began qigong practice at the age of 13, and later became the sole disciple of Master Zhang Zhongchuan, a respected Daoist qigong lineage holder and the chief-master (主持) at a Daoist temple in the Loufu Mountain. After recognizing the problems that modern medicine had with chronic diseases, Master He developed a complete medical qigong system to help people with various chronic diseases. He introduced the method to the public in 1990 and ever since has consistently obtained extraordinary results. He has helped thousands of people recover from “incurable diseases.” Many of his patients came to him as their last hope, after being turned away from hospitals and their doctors stating that there was nothing further that could be done. Time and time again, Master He has amazed doctors by healing such patients with qigong. 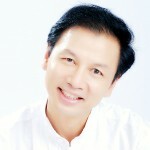 He has been called the “cancer killer,” and is known by the Chinese media as the medical practitioner who dares to challenge “terminal diseases.” Although he does not have a degree in medicine, Master He has studied extensively in traditional Chinese medicine and was named by the government in 1998 and 1999 as one of the 100 best healers in China, based on his outstanding achievements. 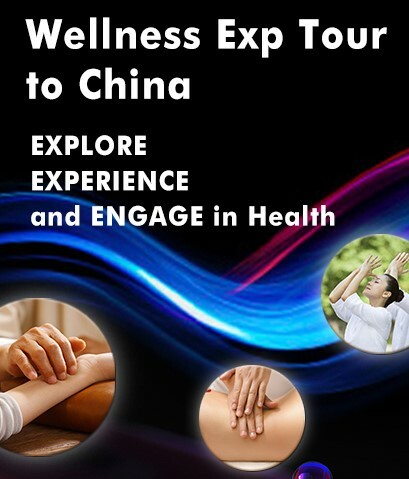 “Through five years of clinical experience with a number of intensive anti-cancer training workshops, more than 3,000 students from all over the country with manifold diseases attended these medical Qigong training, and most of them achieved significant improvement. During the evaluation conference, the experts carefully listened to Mr. Binhui He’s report on the theory and methods of Qigong anti-cancer therapy, evaluated 20 cancer patients’ medical records case by case, and assessed the results of Qigong scientific experiments: “Inhibitory effects of Chinese Taiji Five-Element Qigong on transplanted hepatocaricinoma in mice,” by Zhongshan Medical University. After careful discussion and analysis, the expert evaluation committee agreed that Chinese Taiji Five-Element Qigong is an excellent and effective therapeutic method for treating cancer. 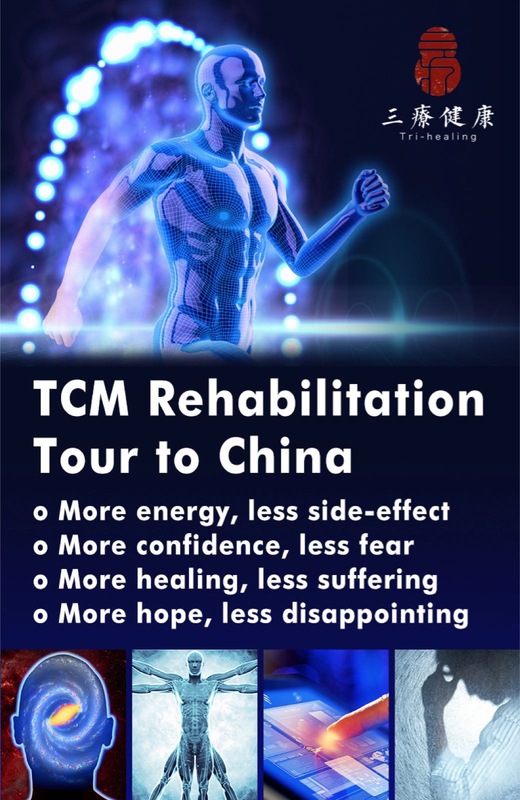 The anti-cancer theory and method by Chinese Taiji Five-Element Qigong is unique, safe and effective in treating cancer without much financial pressure. The successful recovery stories of the late-stage cancer patients brought new hope and confidence for all cancer patients. 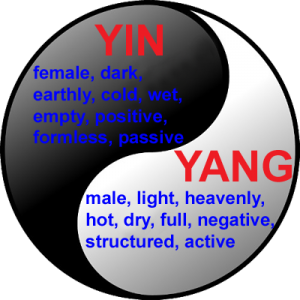 The case studies and scientific experiments have all proved that the significant achievements through practicing Taiji Five Element Qigong are reliable. The achievement of anti-cancer therapy by Taiji Five-Element Qigong has opened up new paths and alternatives that brought hope to cancer patients. It is of great social value that will benefit the entire society. Binhui He creatively developed a medical Qigong by combining scientific research with traditional Chinese medicine. 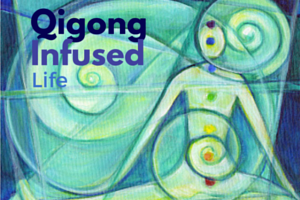 This form of Qigong has a comprehensive and systematic method with five clear steps: Conceptual /psychological change, Qi cultivation and practice, collective Qi adjustment, energetic fasting (Bigu), and shatter tumor by strong Qi. This new anti-cancer therapy has made a significant contribution to the traditional Chinese medicine. We highly appreciate Mr. Binhui He for his courage to challenge cancer and other terminal diseases, for his respect to science and reality, and for his hard work and dedication to human health. 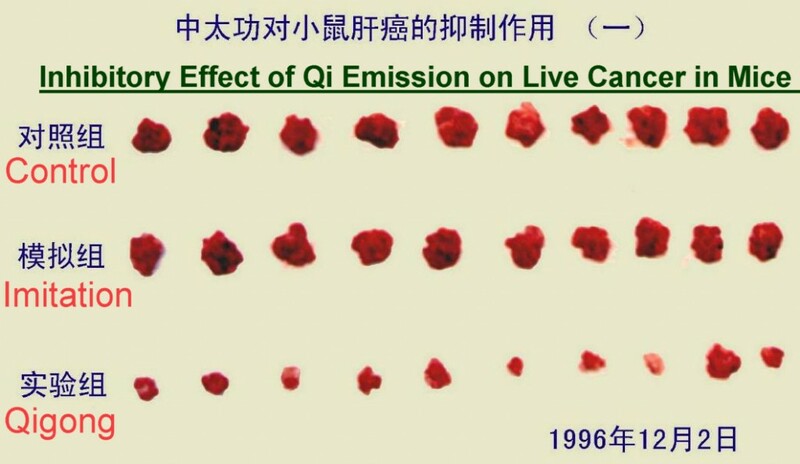 In conclusion, we all believe that the achievement of anti-cancer therapy by Chinese Taiji Five Element Qigong is significant for humans to overcome cancer, and should be promoted to the public. 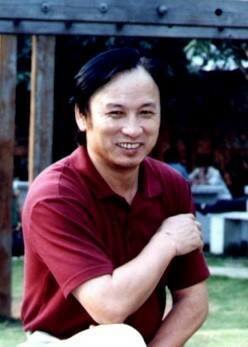 Zhongpeng Lin— Director of Chinese Society of Qigong Science, President of Chinese Qigong Academy. This entry was posted in Method of Self-Healing, Qigong and tagged anti-cancer, Binhui He, Medical Qigong, Taiji Five-element. Bookmark the permalink. Thank you for this post. I was wondering if there is a DVD available for Bingwu He’s cancer qi gong practice. Will he be coming back to teach this course again in MD. Is there a Cd or DVD for purchase of these meditations? Once I’ve seen words “self healing”, I recalled the phenomenon when one may just pusuade yourself to recover. Don’t know how to explain from the point of view of science, but it does work! I have researched this issue. Writers from http://paperwritingpros helped me.